Segregation Separation of constituent materials of concrete Creates larger voids and reduces the durability and strength. 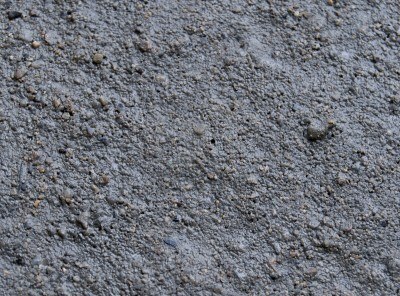 Bleeding Water from concrete comes out of the surface Produces pores in concrete and reduces strength. Strength Compressive strength, tensile strength, flexural strength. Elasticity Concrete not an elastic material Stress in concrete a strains in initial stages Influenced by elastic properties of aggregate, mix proportion, age of concrete, type of cement. Shrinkage Change in volume of concrete due to loss of moisture at different stages. Ability to resist weathering action, chemical attack, abrasion or any other process of deterioration. Shotcrete is a process where concrete is projected or “shot” under pressure using a feeder or “gun” onto a surface to form structural shapes including walls, floors, and roofs. Shotcrete has high strength, durability, low permeability, excellent bond and limitless shape possibilities.